Are you saying “I can’t pay the mortgage this month” or “I’m having trouble paying the mortgage on my rental properties”? Most people think only tenants have a difficult time paying the mortgage, but as a landlord or real estate investor you may run into situations where you struggle to pay the mortgage as well. Read on to see what you can do to avoid facing trouble when paying the mortgage on your property. Avoid vacancies. This sounds overly simplified, but it is the best way to ensure that you’ve got rent payments coming in each month, which you can then pay the property’s monthly mortgage payments with. You can’t slack on marketing for new renters – you need to be advertising quickly and comprehensively when you get a vacancy. And when you get applicants, do not skip screening and just approve the first person who can give you first and last month’s rent. Filling vacancies is one of the most important aspects of your REI success, but to have long term success you not only need to be quick, but also efficient. This means finding stable, long-term tenants. Anyone can find a tenant, but not everyone can find one qualified to rent the unit. You must use pre-screening as a tool to weed out the renters who will cause you nothing but trouble. While keeping properties full is hugely important, it is almost always a worse idea to place unqualified tenants than to have a vacant unit. If the tenants are not paying rent on time, maintaining the property to a reasonable degree, and are abusing the lease – they will cause more trouble than they are worth. This is an especially bad thing in Massachusetts because the landlord-tenant laws strongly favor the renter – this means it can be a long and arduous process to try to remove a tenant. By using background, income verification, and credit checks, a landlord can sort through the applications to find the best tenants available. Again, this keeps the rental fees coming in regularly and allows you to pay the mortgage when it’s due. Ideally, you want to find long-term tenants. Someone who is qualified is not always going to stick around very long – some may only be able to stay a few months! You want to find people who will be there for at least a year, and who you believe could stay in your unit for years and years. Why is this important? When you don’t have tenant turnover (when your tenants move out) you don’t have to clean and make repairs, you don’t have to find and screen new tenants, and you don’t lose a month (or two, or three) of rent payments. These costs really add up, making tenant turnover a bad thing for owners. Another tip is to keep your property well-maintained. Tenants will appreciate that you are caring for their dwelling, and will be more likely to stay living there longer. Make repairs as they come up, not months after they are reported to you – tenants appreciate a fast response to maintenance calls, and will in turn better respect you and the property. Inspect the property 2-4 times a year to stay on top of maintenance, and make sure you tell your renter that you want to know about problems as soon as they notice them. Some tenants will be afraid to report a leaky faucet or pipe because they are scared to get in trouble or get charged. All the while your water bill skyrockets and you end up with water damage when you finally hear about the issue! Don’t let this happen to you. By being a good landlord, you can build important relationships with tenants – where they trust you and like to work with you. This keeps them happy, paying the rent, and staying in your property longer. A great landlord-tenant relationship can turn a normal tenant into a great one simply because they are trying to not disappoint in your “relationship”. 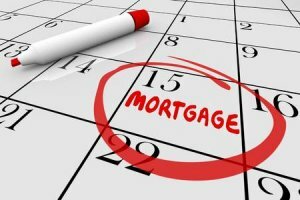 When times are tough, it’s crucial that you do all you can to avoid trouble paying the mortgage. Whether you’re an investor or an average renter, the same rings true. Implementing these tips and others found in this article and on our blog can help as you strive to develop a base of long-term, good rent paying tenants that keep you bringing in the income you need to pay the mortgage each month.